• Braided - For easy handling and secure knot tying. • Coated with wax to give “hand” to the suture - Does not become limp or brittle. • Non-Absorbable - Provides prolonged tensile strength retention in tissue for up to 3 months. As with other synthetic sutures, knot security requires the standard technique of square ties with additional throws as indicated by surgical circumstances and the experience of the operator. Care should be taken to avoid damaging the surface of the material with surgical instruments as this could lead to fracture of the material. 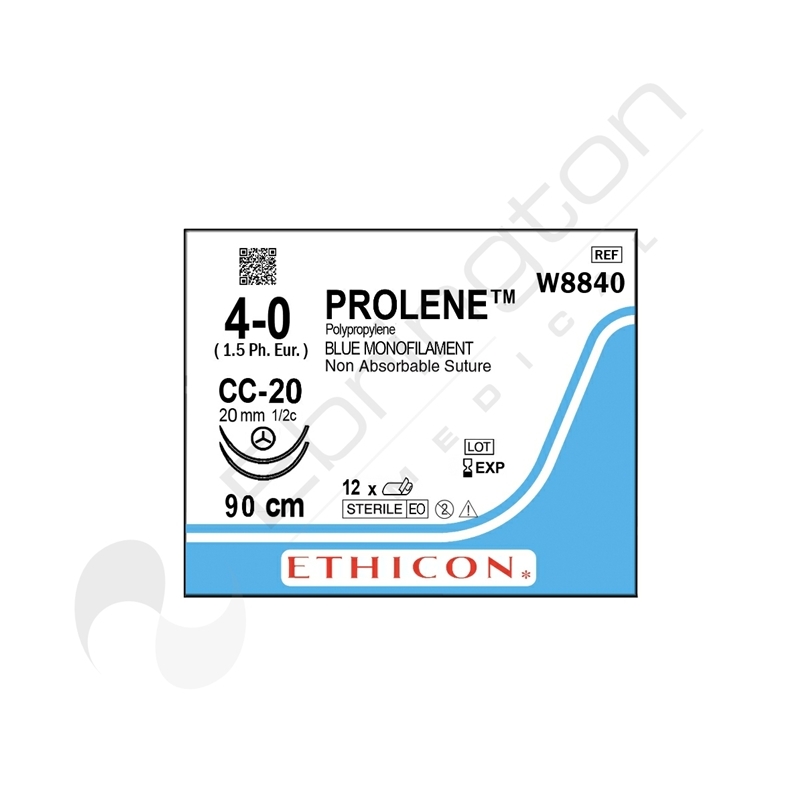 Ethicon Sutures W8015T - Prolene Curved Needle 19mm x 1.5"
• Absorbable - By hydrolysis. Absorption is minimal until approximately the 90th day post implantation. It is essentially complete between 182 and 238 days. 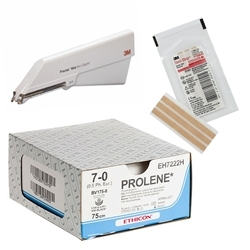 VICRYL* rapide Suture typically falls off 7-10 days post-operative or can be wiped off subsequently with sterile gauze. Normally the removal of the suture is not required.